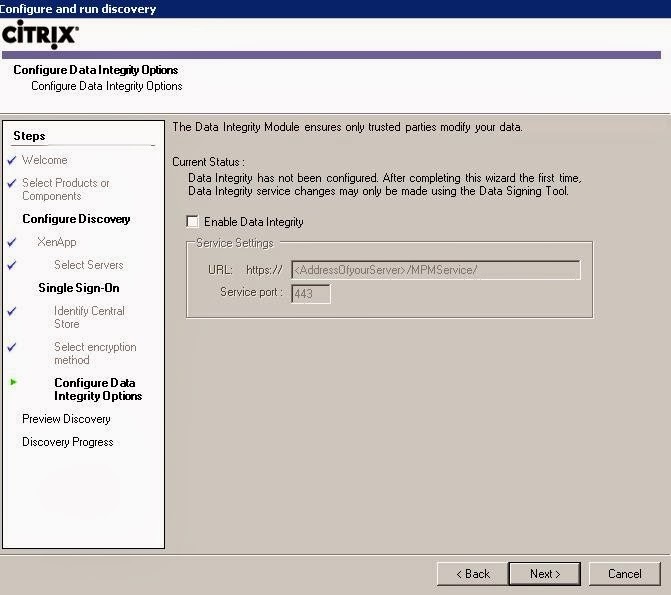 This article explains the steps to run and configure Citrix Single Sign on (Password manager) component in XenApp environment. Please check the update at the end of the article. Make sure that you have XenApp Platinum licenses before implementing Citrix SSO. 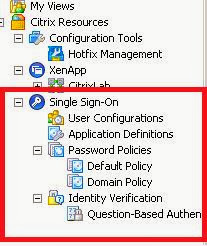 These steps need to be performed on the XenApp server which is going to host Single Sign component and plug in. 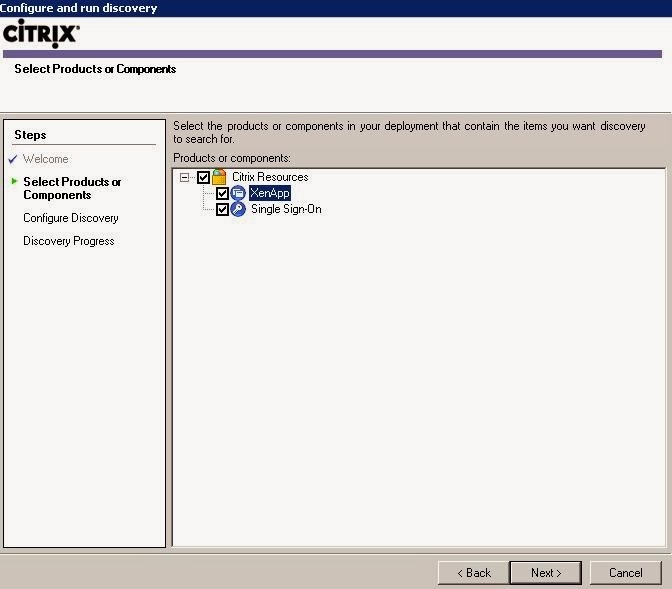 I typically install SSO component on Citrix Zone data collector (Most preferred). 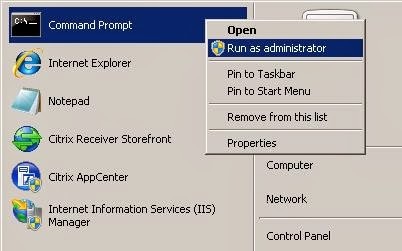 · Then open the command prompt with administrative rights and execute and navigate to password manager tools folder. 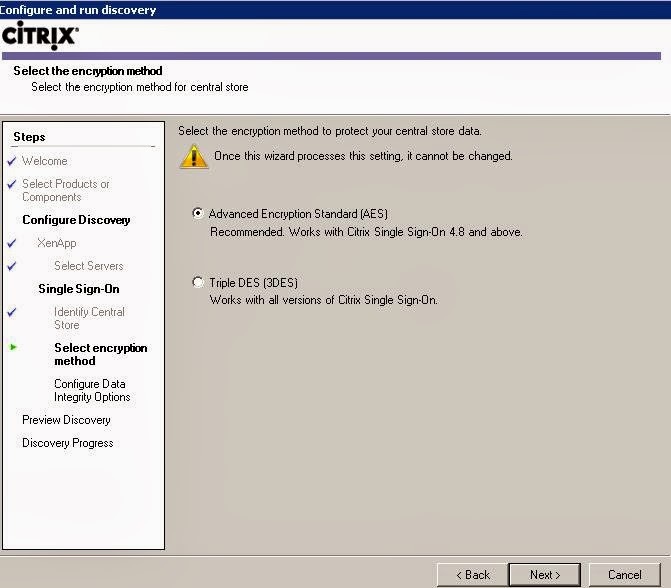 · I have selected Single Sign on encryption method as “Advanced Encryption Standard (AES)” method which is recommended by Citrix. 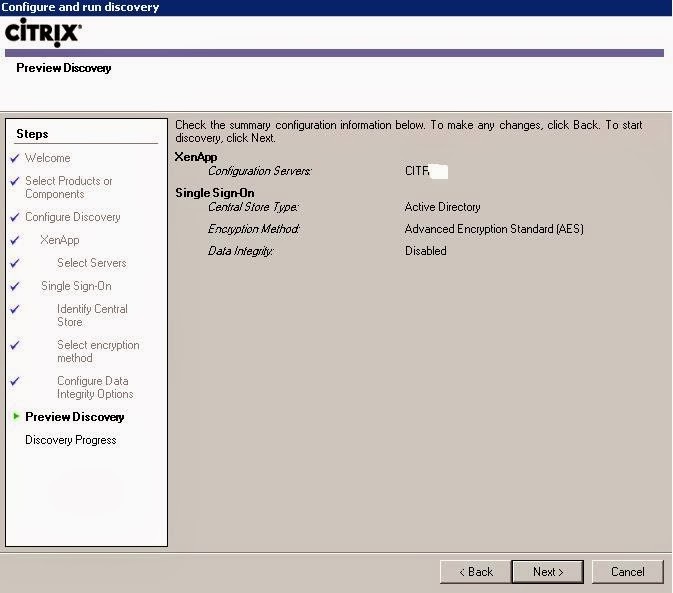 When you go to next screen, encryption method cannot be changed. · Once run and discovery wizard finished, make sure that you can see various Single Sign On options available as per below screen. 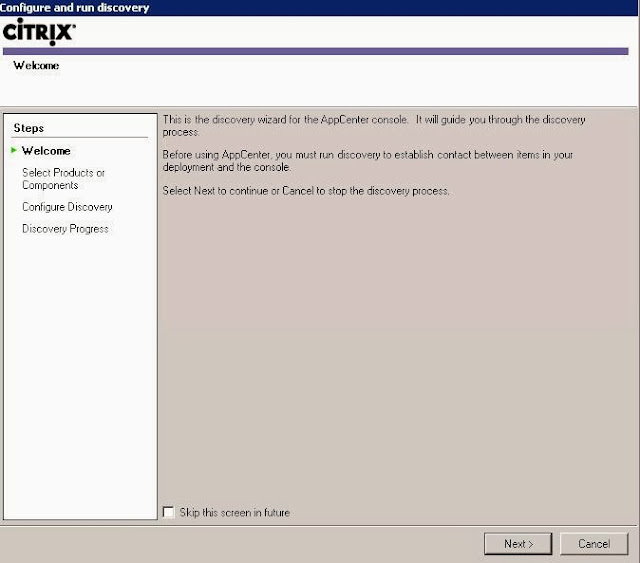 After this, you need to create Application definition, password policy and user configurations to configure individual applications in Citrix password manager environment. 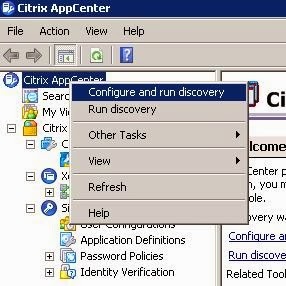 UPDATE : Please note that Citrix SSO EOM (End of Maintenance) is 24-Aug-15 and EOL (End of Life) is 24-Feb-16 and SSO doesn’t work with Windows 8 or Windows server 2012. 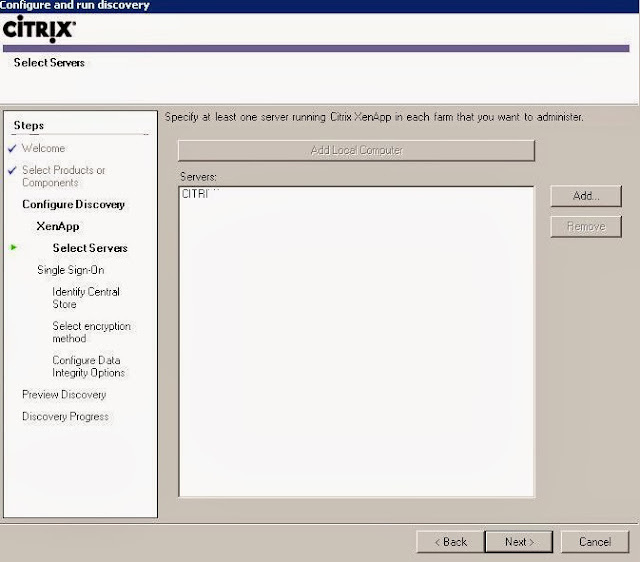 XenApp 6.5 is the last product version which includes Citrix Single Sign On. Citrix officially recommends to use their partner solution i.e. Imprivata Single Sign On and its architecture is similar to Citrix SSO. Imprivata is Citrix Ready partner. 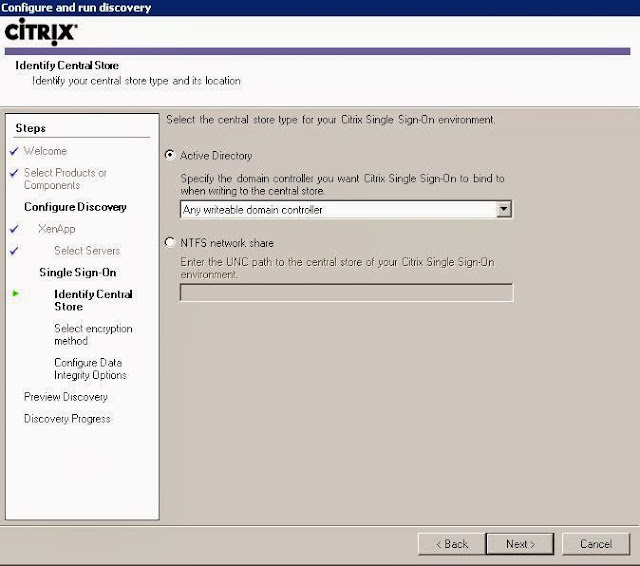 I heard that there is other alternative to Imprivata Single Sign On for Citrix, i.e. Caradigm SSO. I don’t have much details about this. Please share your comments if you have more information about these products. 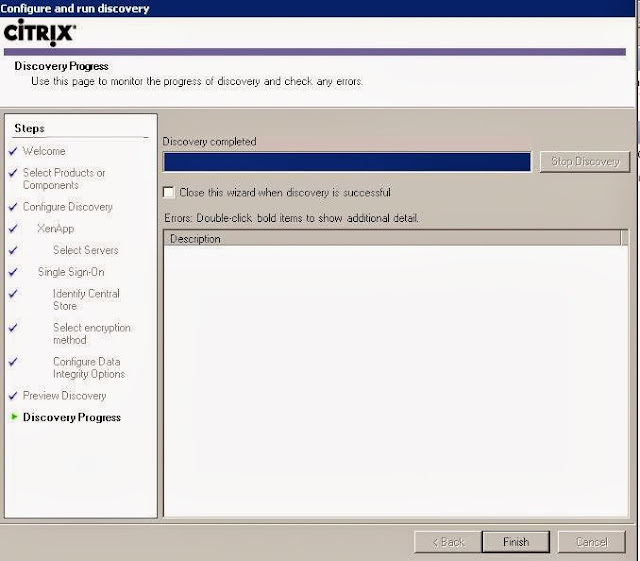 Thanks John for comments/ info. 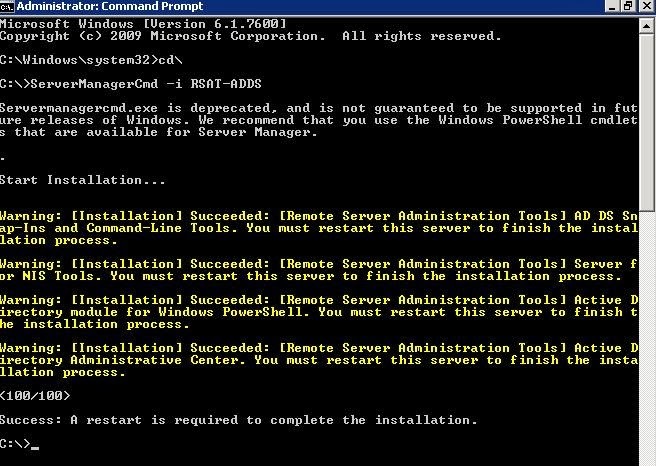 I remember executing my instructions on Win2k8 R2, but not 100% sure. 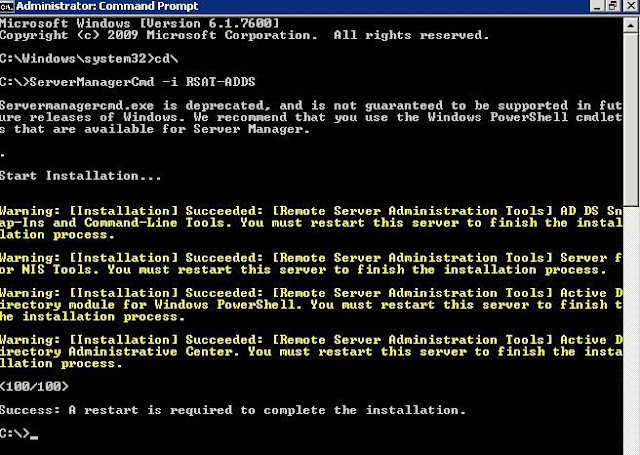 The instructions "As Is" worked for me Windows Server 2008 R2 - Thanks!! Absolutely brilliant article,You have written it so nicely and precisely about single sign on solutions with step by step guide.Thanks for sharing this wonderful blog with us.Keep posting such stuff in future. Good Informative blog!! I was browsing over internet for some information around single sign on when I happened to see your post.Though I'm very late to comment on this topic.you have exolained everything in step by step manner with images.Anyway thank you for sharing this blog with everyone.It was worth reading your blog!Hope to see more post like this from you in future.